Kefalonia is the largest of the Ionian Islands and is a popular destination for discerning travellers - those looking for Greece the way it used to be. Kefalonia awaits! 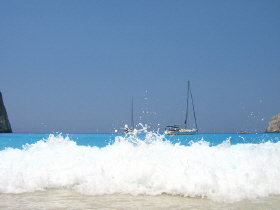 Kefalonia is located on the West coast of Greece, and has a mild climate along with excellent beaches. The island of Kefalonia has escaped mass tourism and recently was used to film Captain Corelli's Mandolin, set in war-time Kefalonia. The film, with Nikolas Cage, was a huge success and it put Kefalonia firmly on the 'must visit' list of destinations. Planning to Visit Kefalonia - Greece? The Kefalonia Travel Guide, is an independent guide to Kefalonia for the independent traveller and offers a refreshing selection of articles on Kefalonia and ideas on ways to enhance your stay on Kefalonia. The Agni team, along with the help of Francesca - who lives in Argostoli - has used their experience and visits to create this informative and accurate guide of Kefalonia. In the aviation world the airport is known as Kefallinia. 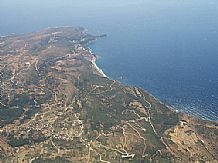 The airport is situated in the area of Svoronata, 9km from Argostoli. 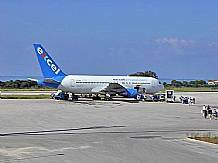 The airport was founded in 1971 when tourism was introduced to Kefalonia. It's a fairly small airport in the south of the island near Svoronata. 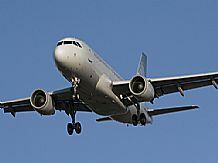 You can fly to Kefalonia from most of the major airports in the UK and depart on a Tuesday, Thursday, Saturday or Sunday and the flight time is approximately 3 hours and 15 mins. Have You Recently Returned from Kefalonia or Greece? There are so many different ways of spelling Kefalonia: Cephalonia, Cephallonia, Kefallonia, Kefallinia. 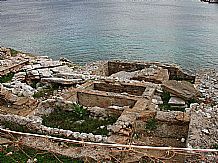 Some believe that the island of Kefalonia was named after the mythological figure Cephalus while others say it is derived from the Greek work for head,'kephalos' as the island is the biggest of the Ionians and is thier natural head or leader. 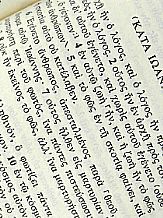 Many local families of Kefalonia have surnames ending in "atos" and almost every community in Kefalonia has a name ending in "ata"
Kefalonia is the largest of the Ionian Islands with an area of 750 sq km. It is the 6th largest of the Greek Islands with a population of about 42,000. 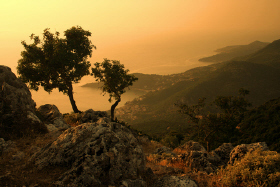 Mount Ainos is one of the highest muntains of the Ionian Islands, rising to 1640 feet. 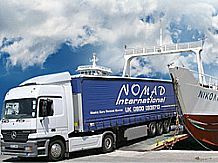 The Agni Team have visited the island of Kefalonia many times in an effort to give all the information needed before your visit. The Agni Travel Kefalonia office is close to Argostoli and we offer a selection of properties including villas with private pools, water-front apartments and small family-run hotels. 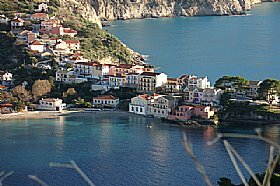 Use the Kefalonia Resort Guide for information on the regions of Kefalonia to help you to decide where to stay or visit. The north of the island is completely different from the south and is famous for the scenic coastal villages of Assos and Fiscardo whereas the southern part of the island offers a selection of locations geared to beach holidays due to its sandy shores. 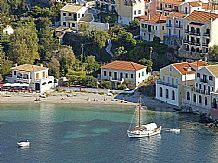 For Kefalonia holiday accommodation, not generally found in the mass market holiday package brochures, from simple village rooms to luxury villas with private swimming pools, see our Kefalonia Accommodation Guide. Kefalonia boasts some of the best beaches in Greece, so whether you prefer a long sandy beach with water-sports or a tiny secluded cove, use our Kefalonia Beach Guide which describes the wonderful beaches on offer in Kefalonia. If beauty is from within, then Kefalonia is a fine example with its well documented and strange geological phenomena which are manifested in its vast underground water network, subterranean lakes and stalactite encrusted caverns. Wherever you stay on Kefalonia, it is easy to visit the centrally located caves of Drogarati and the underground lake of Melisani. 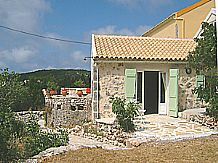 Planning on buying an Island near Kefalonia? You may be surprised to learn that there are still some islands near Kefalonia for sale! So if you are related to the Onassis family or have similar wealth, these pages are for you! For those with smaller pockets, there are plenty of real estate opportunities on Kefalonia island whether you wish to retire or buy a holiday home. Getting married in Kefalonia Greece combines the advantages of a wonderful climate and a wedding organised at a greatly reduced cost - all just a few hours' flight away. Couples combining their wedding and honeymoon in Kefalonia Greece can not only reduce the cost of the wedding but the more relaxed atmosphere may help in reducing the stress that is so often associated with getting married! Why not choose Kefalonia for your wedding? 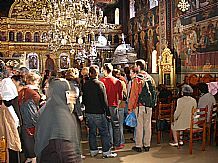 The 400 year old patron saint of Kefalonia now lies in his silver sarcophagus at the monastery of Saint Gerassimos. 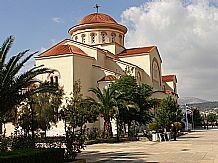 Visit the old monasteries and modern day churches from Greek Orthodox to Catholic on Kefalonia. 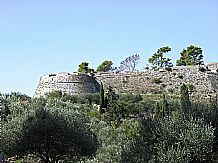 There are 2 impressive castles on Kefalonia in strategic positions which are famous island landmarks and were built to protect the islanders from marauding pirates. 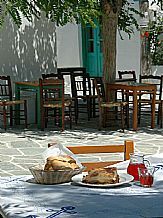 Eating out in a local taverna is one of the joys of a holiday in Greece and in Kefalonia there are many local specialities including Kefalonia Meat Pie and Robolla wine! Once voted 10th in a world scenic beauty league, Kefalonia is an island to be explored. 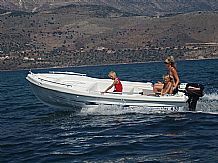 Discover the natural beauty of Kefalonia above and below sea level! 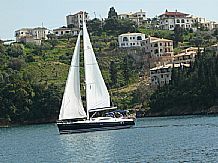 Kefalonia offers endless coastline for wonderful sailing and cruising. The crystal clear Ionian waters await your arrival. 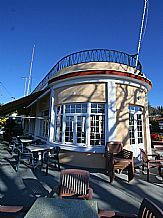 Maybe you would like to learn to sail or hire a skippered yacht. Perhaps combine a sailing holiday with a villa rental. 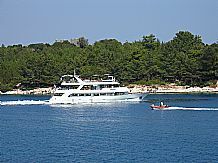 Take a relaxed pace with a motor-boat for the day to find secluded bays. For the faster pace you can opt for a speed-boat, power RIB hire, water-skiing or just whiz round the bay on a donut! 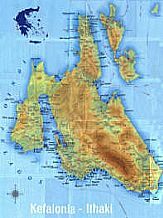 There are 7 Ionian Islands - Kefalonia being the largest of the Ionian islands with Zante (Zakynthos) to the south, Lefkas (Lefkada) in the north and its sister island, Ithaca (Ithaki) a few miles off its eastern coast. 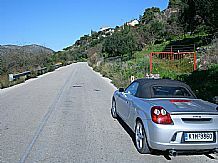 North of Kefalonia, near Lefkas, there are many smaller islands, such as Meganissi, Madouri, Skorpios, Skorpidi, Thilia, Tsokari, Sparti, Heloni. 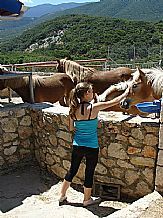 If you prefer a holiday that is not centered round a Greek beach, then take a look at some of the activity holidays available on Kefalonia: walking, painting, sailing and horse-riding holidays which can be booked through a tour operator or with the local operator on Kefalonia. 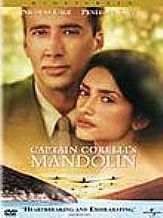 During the summer of 2000 the town of Sami received a Hollywood facelift, as filming took place for Captain Corelli's Mandolin, set in war-time Kefalonia. Anyone who has read the book will delight in visiting some of the places in Kefalonia mentioned. For news on Kefalonia and suggested books, click here. Mount Ainos is Greece's third largest mountain. It is one of Kefalonia's national parks and its stunning dark pine forests are home to wild ponies, golden eagles, osprey and other protected species. 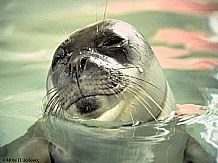 Marine wildlife on Kefalonia's shores includes dolphins, rare monk-seals and the loggerhead turtle "Caretta-caretta". Unique to Kefalonia is the religious feast of Saint Gerasimos who is the patron saint of the island and Kefalonia is also famous for its Robolla wine festival. Rich Roman tombs in Fiscardo - Archaeologists have recently uncovered more Roman tombs in Fiscardo with rich findings of jewelery and coins overlooked by grave-robbers. The dig continues revealing an ancient theatre and sea-faring links between Greece and Italy. 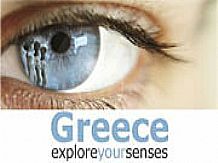 This is a short course of five lessons, which will teach you a few useful conversational Greek phrases and words. We are also working on a printable version so that you can bring it to Corfu on holiday with you. The locals will not know what has hit them! There is more to Kefalonia than its beautiful beaches. If castle and fortresses, churches, monasteries, caves and lakes sound interesting, Kefalonia offers a wealth of history and interesting places to visit. 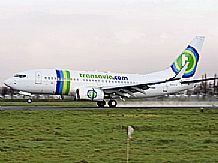 Specialist Tour Operators and Flight Only operators to Kefalonia. Whether you are seeking an unusual souvenir or present from Kefalonia, or just want to know where to stock up for your holiday provisions, Kefalonia has a variety of shops and services. Detailed, downloadable map of Kefalonia showing the main beaches of the island. Make sure you print a copy and bring it with you to Kefalonia!